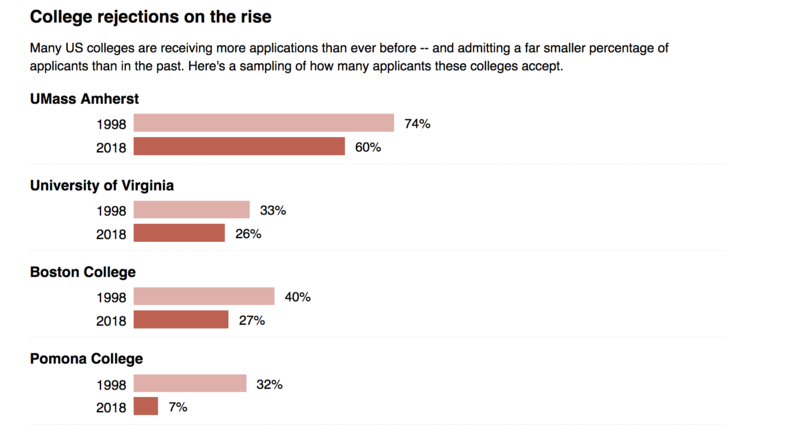 Not a news flash: Getting into the country’s most selective colleges is more fiercely competitive than ever, with many schools reporting a record number of applicants (again). To many, this news is fear-inducing. How will I (or my child) possibly get admitted to a “top” college or university? Answering how is hard. There are no silver bullets in this process, and the reality is most applicants won’t get admitted to the top-top schools. Instead of trying (too hard in many cases) to become the applicant you think one of these uber selective schools will admit, I suggest a path of far less resistance and more authenticty—a path that includes looking at colleges where you have a realistic chance of being admitted. There are schools outside of the top 30 ranked on US News, and they are excellent. We help families find these schools, and we’ve seen that when they can think outside of the box, they end up with incredible options and look back on the process much more fondly than those that are laser-focused on the same set of schools at which the rest of the world is aiming. 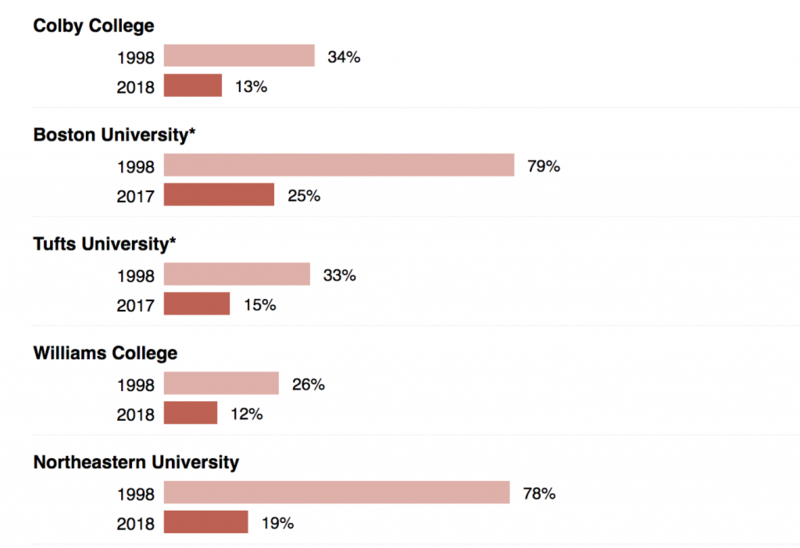 Here are some numbers from a recent Boston Globe article noting the 20-year admit rate changes at a few of the country’s most popular schools. I’ve been saying this for a few years now, but it is time to start looking outside of the bubble of these and the other “most popular” schools, and these numbers should provide a nudge in doing so.